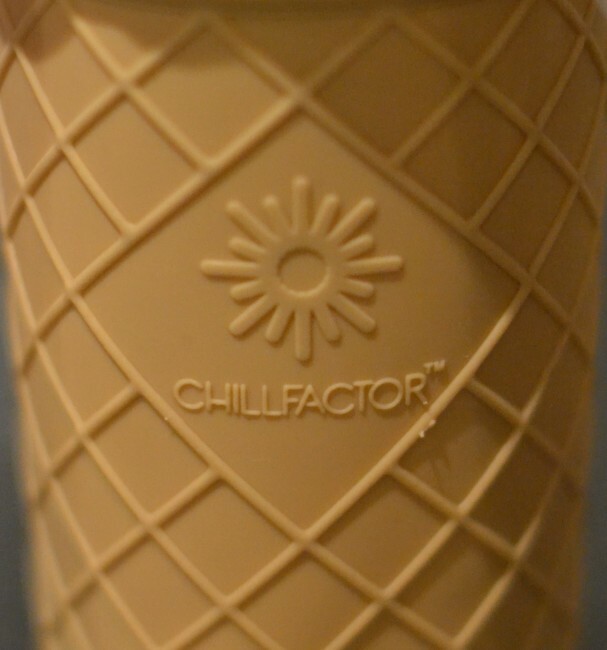 We were VERY excited about receiving the the Chill Factor Ice Cream Maker to review, especially after having seen the slushy maker in the shops over summer. The ice cream make comes with all the kit you need to make ice cream in minutes. 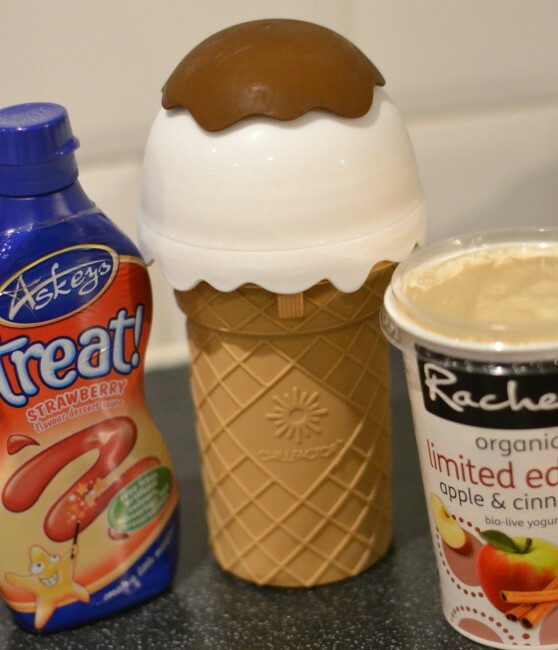 You simply freeze the Ice Cream Maker, add your ingredients, give it a shake and a few squeezes, then you have ice cream!! I was quite skeptical at first, but it really did make lovely soft scoop textured ice cream almost instantly. We’ve mostly made frozen yoghurt to be a little healthier, but did try some chocolate ice cream using single cream and chocolate syrup which was delicious. The ice cream maker consists of 5 parts and the special spoon, all come apart and can be reassembled easily. I was really impressed with its construction. The RRP of the Ice Cream Maker is £14.99 which I think is reasonable considering the quality and the amount of fun and use it will get. We were sent the ice cream maker for the purpose of this review. We got this too the kids loved it! Hi! I just got this “machine” myself and was wondering about a healthier option than using cream, so I wonder how you made the frozen yoghurt? Did you just replace the amount of cream with yoghurt and did the same procedure?